19 guest rooms. 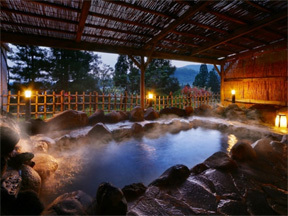 The hotel boasts two 24-hour baths, the "Kannon-buro" and "Hekiga-buro," which have natural flowing hot spring water. 42 guest rooms. 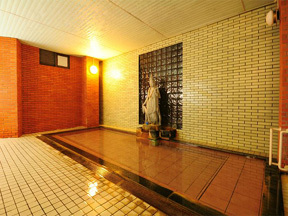 The hotel proudly features a cypress "Oshikirigawa" bath and its "Himesayuri" bath rendered in the image of Kitakata's brick constructions. 16 guest rooms. 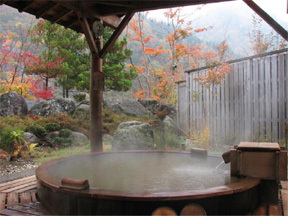 Here you can enjoy the cypress open-air bath "Iimori-no-yu" and "Takakura-no-yu."